1. Not too long ago I got a new pair of glasses. I just need a little help seeing long-distance, especially at night. I was able to get them from a trendy place around here because of a great Groupon deal they had but I wish I had known about Warby Parker first. They are like the TOMS of glasses and the price is unbelievable – $95 for lenses and frames. 2. Last weekend, S came to church with on Sunday and had lunch with us afterward. On Monday, we went to visit M & T. They are doing so well. It was fun to catch up with their mom and hear M’s developing vocabulary. I got some great pictures of all the kids playing together. It was too cute. 3. I tweeted last night that every day I am tempted to spoil my kids. They are so cute and wonderful and I just want to give them everything that want. But I cannot do that for many budgetary reasons and won’t do that because I know it is bad for them. However, we did give them a pretty good Saturday this weekend which ended with a trip to a carnival, their first “roller coaster” ride, cotton candy, elephant ears, staying up an hour and a half later than normal and being allowed to sleep together on the top bunk (because they are still small enough to pull that off). It was nice to be able to give in a little. 4. I have not updated much on the adoption finalization because nothing had really changed. We are waiting on a signature and a court date. The goal is early July. You could pray for that to happen if you like. 5. DIB is officially obsessed with Fireman Sam. 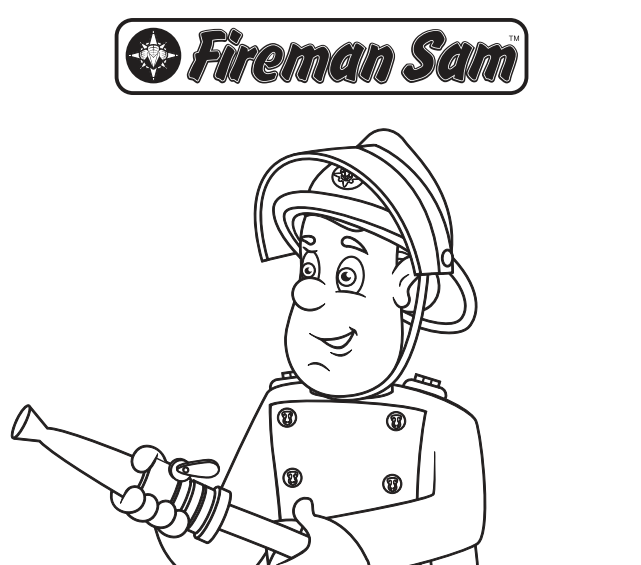 In fact, he thinks that he is Fireman Sam. On these hot days both boys definitely need a down time but I’m actually trying to break them of their nap in the afternoon (I know, that seems kind of crazy). DIB is going to full-day kindergarten in the fall and AIB has been having a hard time falling asleep at night. Fireman Sam has been serving as a great down time distraction. 6. I loved this story about a father who waved to his teenage son every morning this past school year as the bus drove by their house. 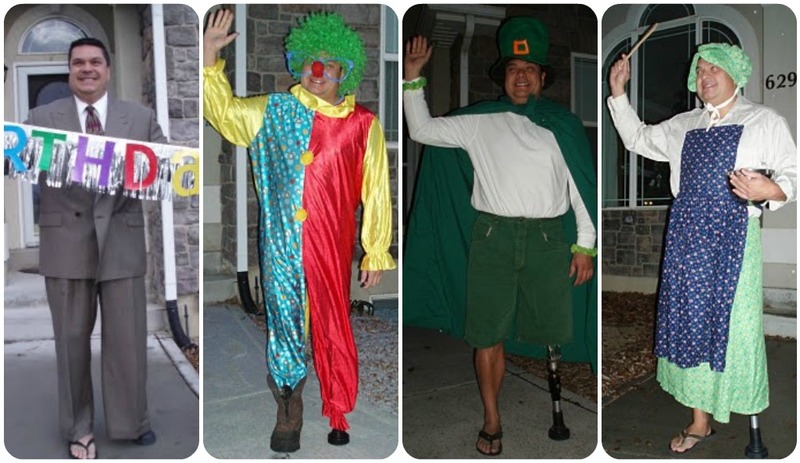 In costume! His son says he is embarrassed. I think he will appreciate it later. I am really, really happy that I live with you guys now. Totally out of nowhere. Sometimes we get a little glimpse of what is on their hearts. We are really, really happy they are with us too. Did you take the boys to the Sahara festival in Livonia? We took the girls there last night. Nice and small! Yes! I wish we would have run into you guys. It seems like something he might do. “I am really, really happy that I live with you guys now.” So sweet! Also, I have those Warby Parker glasses so don’t get them! Haha. Just kidding, you can get them if you want. But seriously, I have the Finn ones in Chestnut. I’ll be praying for your adoption day coming soon. Hahaha…of course you have the ones I picked out! We might just be the same person.